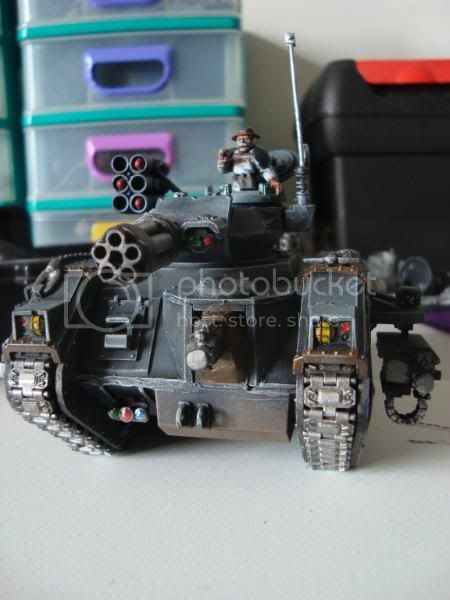 A few threads have popped up in the painting and modelling thread with users asking how to go about making the Leman Russ Punisher variation. Gw will eventually be releasing a kit, but until then, people still want to make use of it. 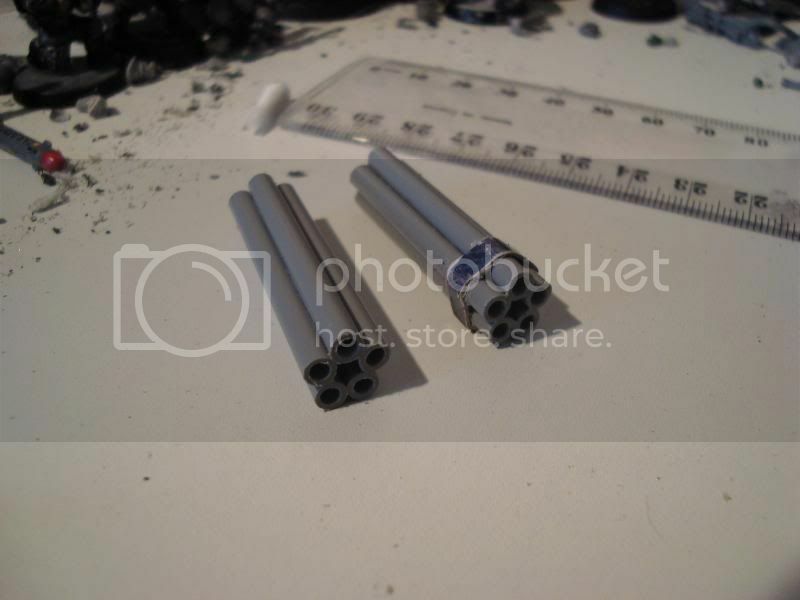 Here is a simple tutorial on how to go about making a gatling gun. The only material I used were a 20cm long, 3mm wide length of hollow plastic tubing and a cotton ear bud (or q tip if you live in the US and A). 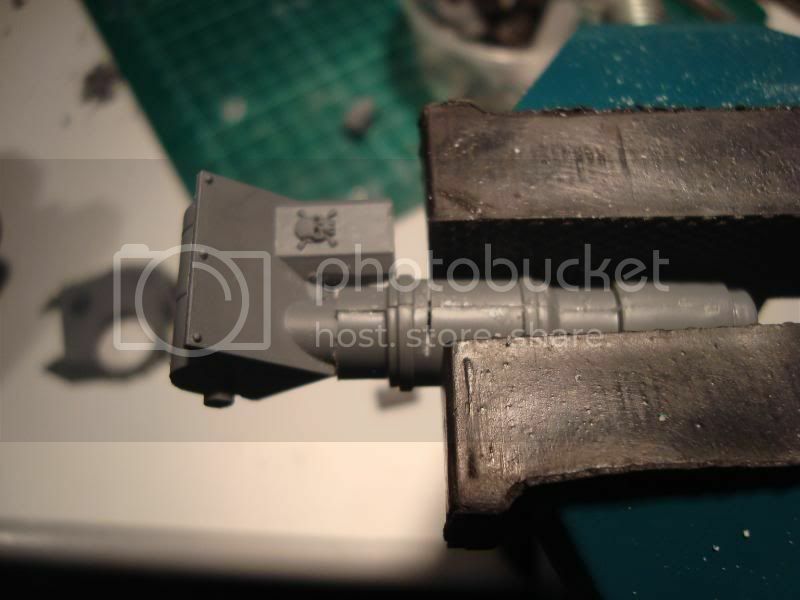 These are the best sizes to make a gatling gun that fits together nicely and also fits onto the leman russ nicely. You will also need a saw, a scalple, a large modelling file and some superglue. Also a clamp, but that isn't absolutely necessary. 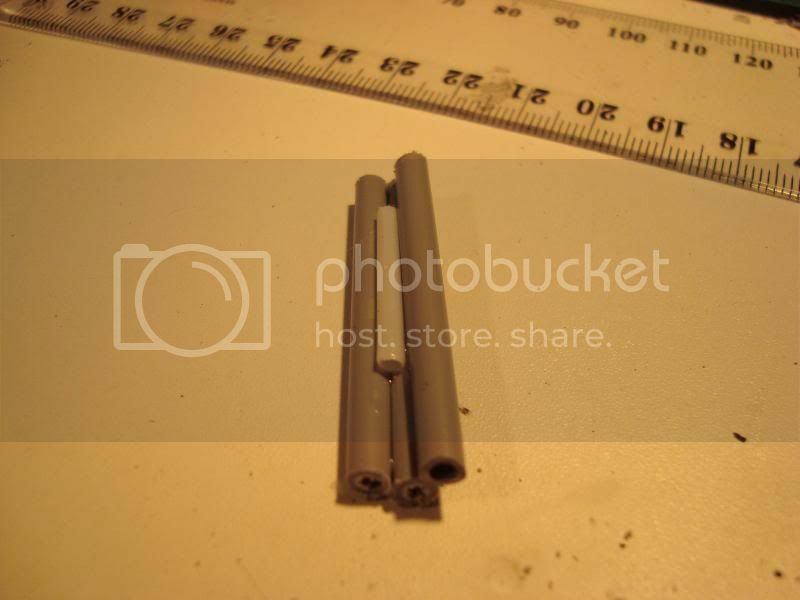 Start by chopping the plastic tubing into five 4cm long lengths. 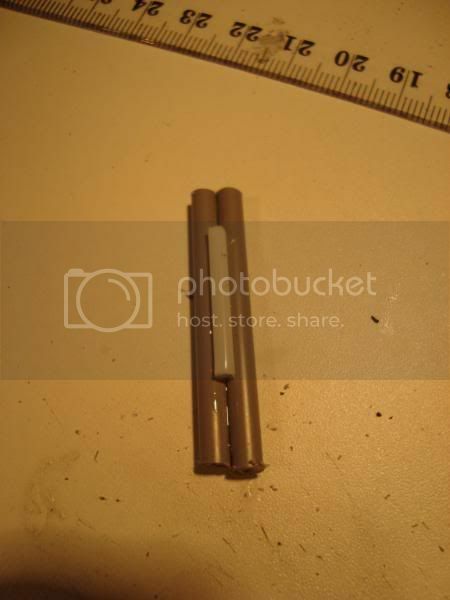 Then cut up the stick part of the ear bud so you get a length that is a bit shorter than the plastic tube lengths. 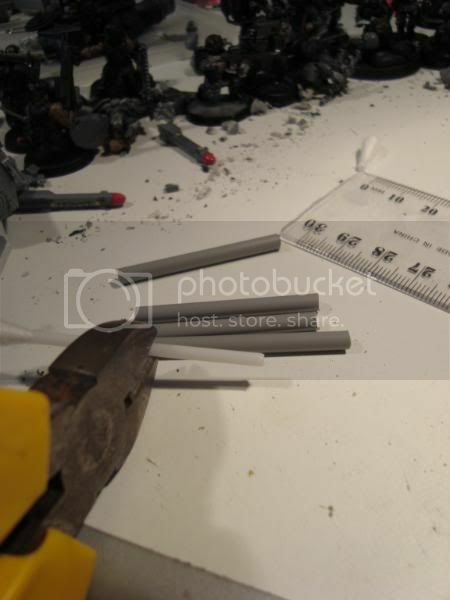 Then, glue two of the plastic tube lengths together. Then, glue the ear bud stick down the middle. This should make it much easier to place the next bit of plastic tube and glue it on. 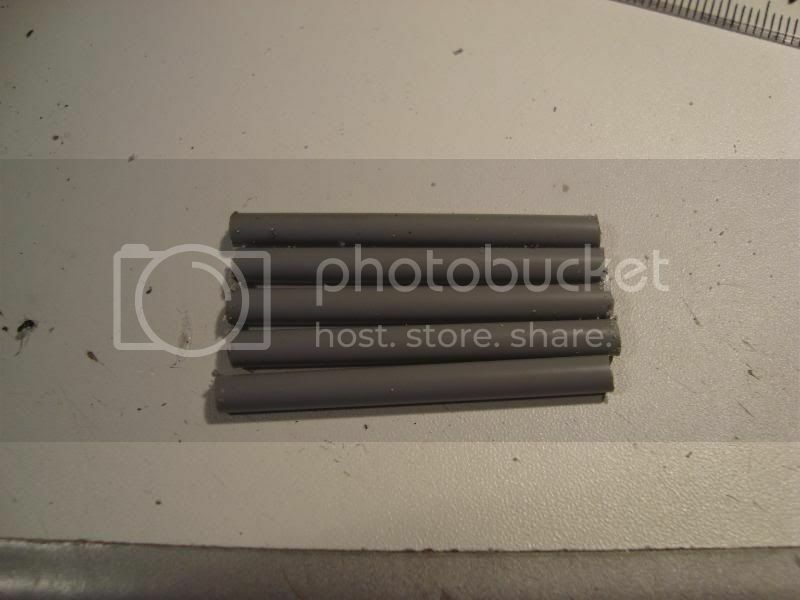 From here, it should be easy to continue to place the lengths of plastic tubing until you put on all 5. 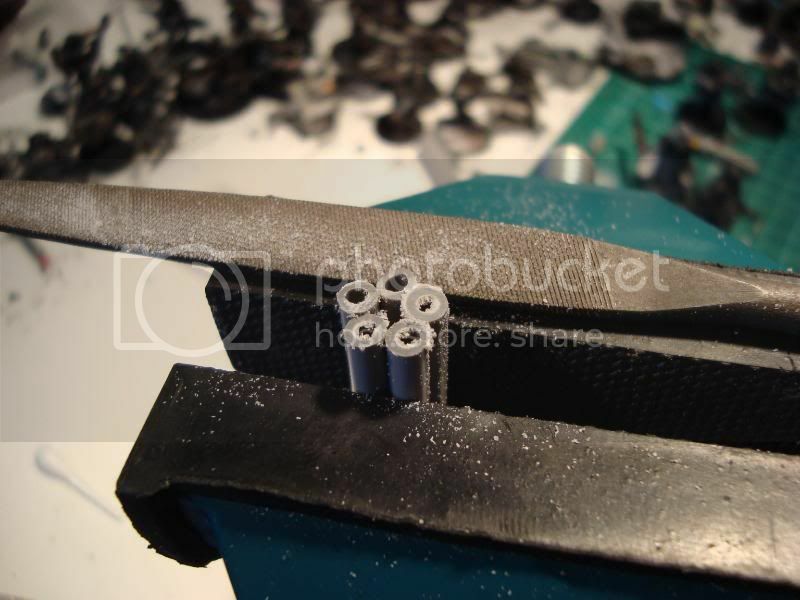 It is unlikely that you have placed all the lengths perfectly, so you should flatten out the end with a file. 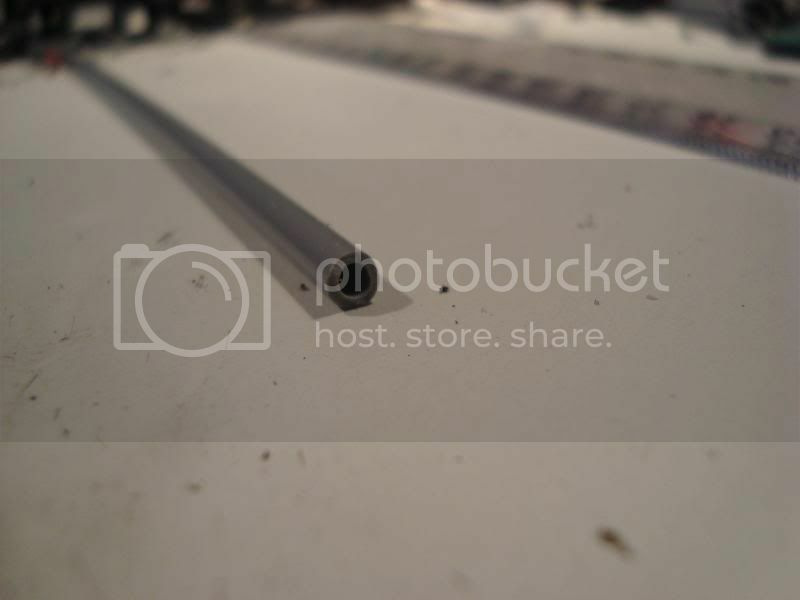 You may have noticed that there is quite a bit of semi-filed material that is hangin onto the ends of the tubing, so you should clean this up with a scalple. Finally, you can glue a bit of carboard around the end for a bit of detail. From there you should just be able to glue it on. 4cm may be a tad long, but if you have a saw, it should be easy to cut it down, file it flat and then clean it with a scalple. Here is my finished tank where I cut it down to around 2.5cm. I hope that this was useful. 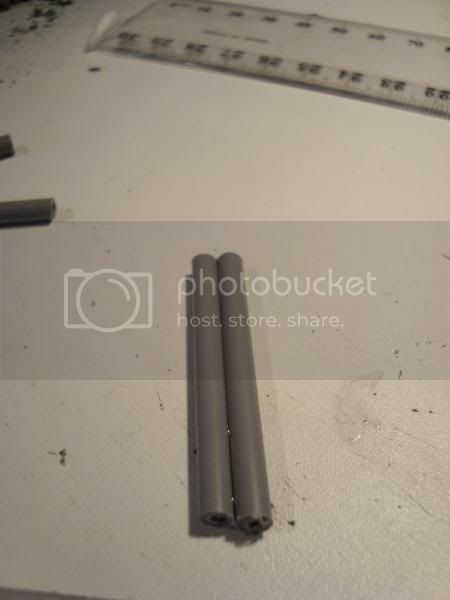 Also note that for a six barreled version, you can simply use a shorter piece of the main tubing, and put six regular lengths around it. It'll fit perfectly. The tubes you used look slightly too large, it would be nice if they were flush with the original cannon. captain.gordino wrote: Also note that for a six barreled version, you can simply use a shorter piece of the main tubing, and put six regular lengths around it. It'll fit perfectly. It would fit perfectly as a hexagon, but it would be slightly too large for the cannon. I did consider doing that first, but I didn't have enough tubing, and then I later realised that it would be too large. 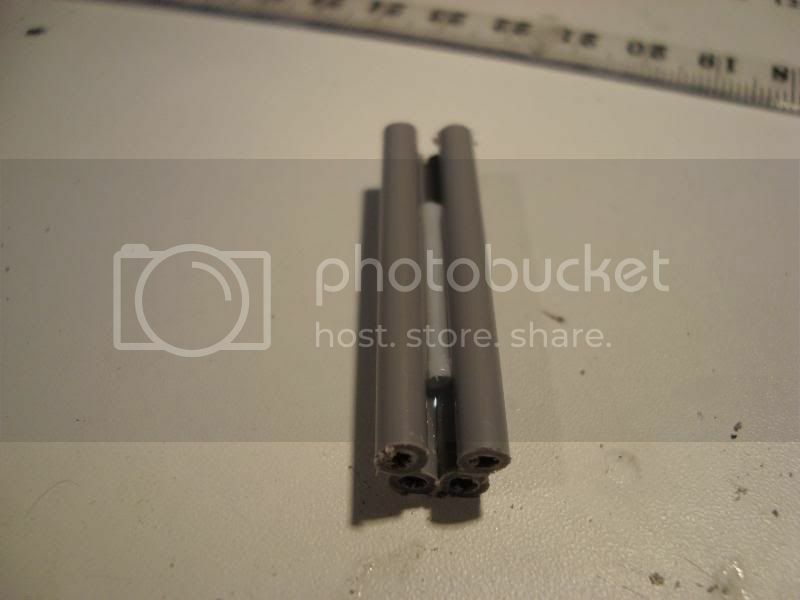 I suppose so, but it's hard to find plastic tubing that is 2.8mm thick. 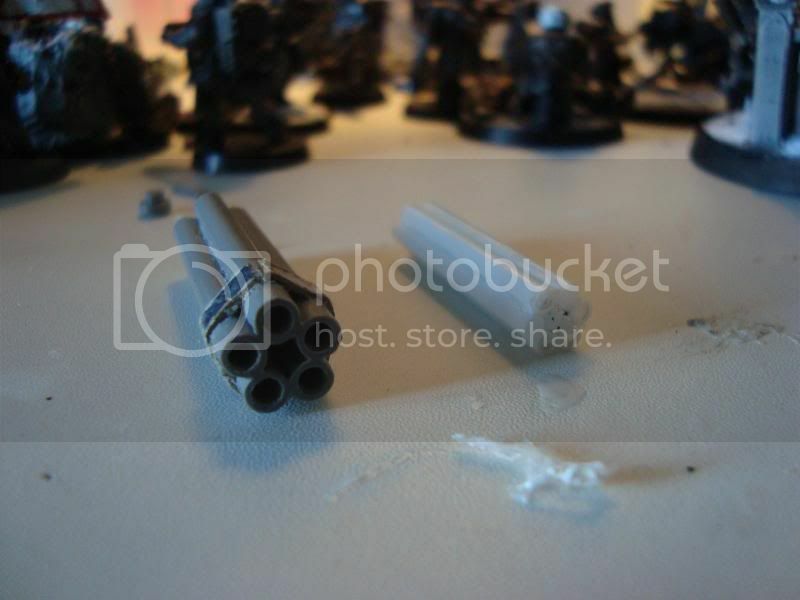 And I specifically mounted it on the wider bit of the cannon so that it didn's stick out too much. It does have a reasonably close fit though, all things considered. Nice. way, way Better than the pile of Gak GW is releaseing. Q: What do you call a Dinosaur Handpuppet? I agree, very nice. 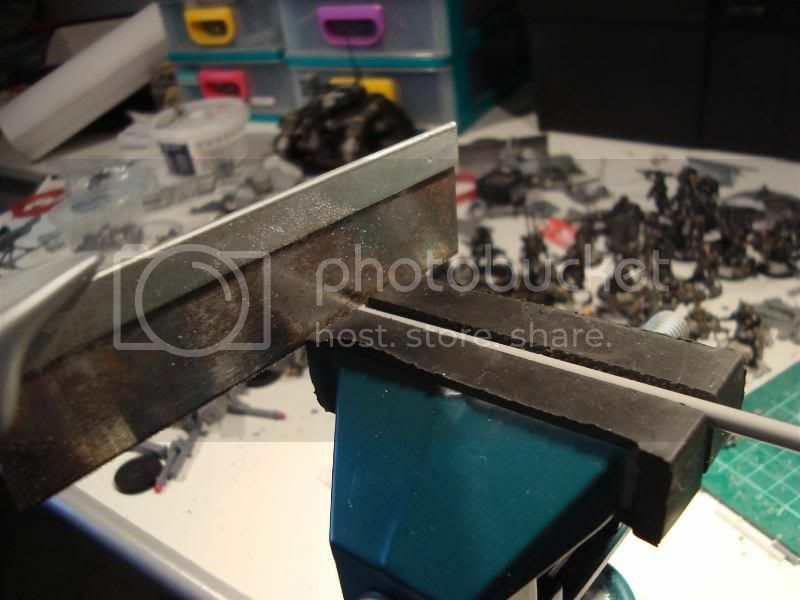 Recently, I offered to duplicate an old Baal Predator's missing assault cannon for a fellow Dakkite and met with utter failure. Using the smaller q-tip tubes I probably could have had a fair go at it. Glad to see this has had some use. 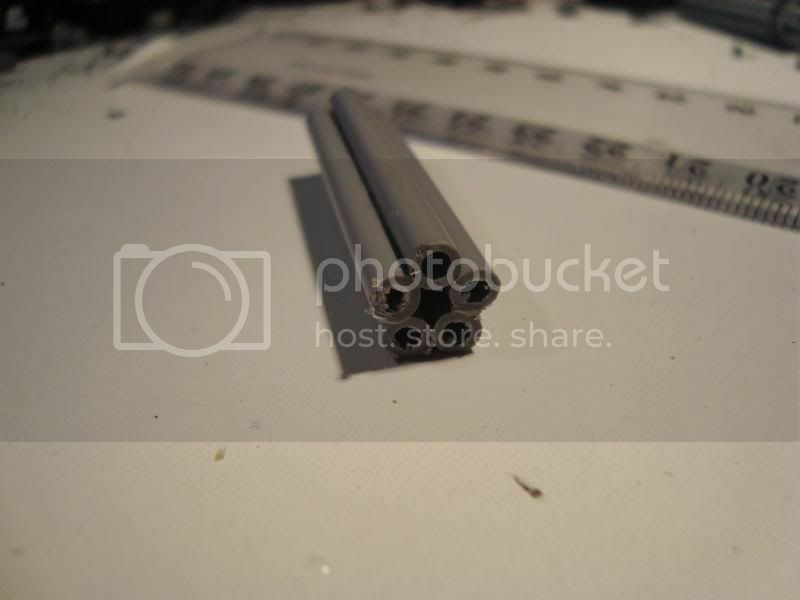 By the way, I just had a bash at making a six barrelled version using only the q-tip tubes. It looks pretty good, even though my superglue just doesn't want to bond together. It's much smaller, and much harder to cut, but it is pretty good. I'll post pictures after it's finished gluing. 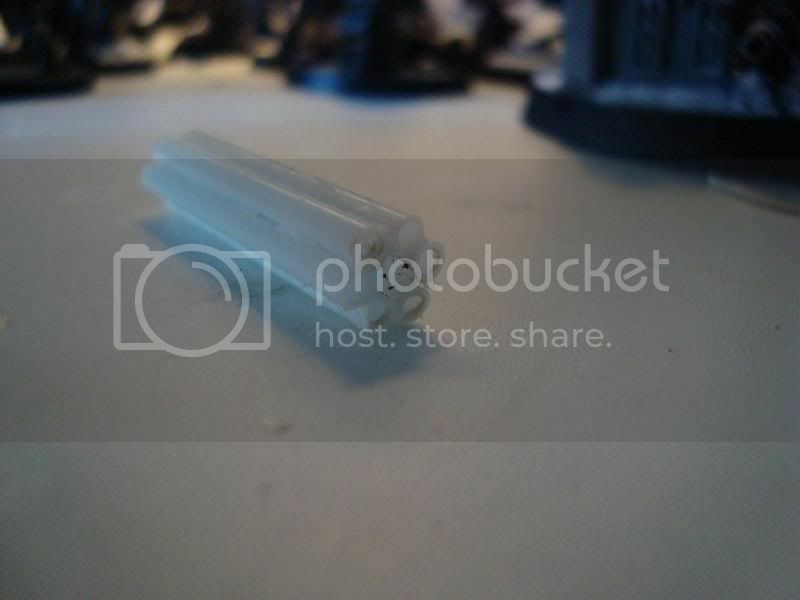 Alright, here are some pictures of the only q-tip version. 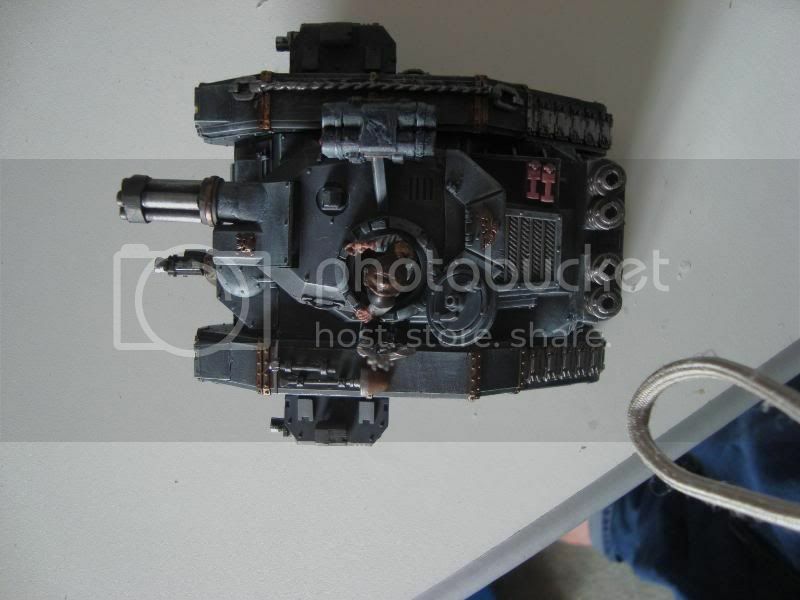 It's definately too small to be used on a punisher, but it could work quite well for something like an assault cannon. Sorry about the quality of the photographs, as it's quite hard to take photos of white shiny objects. Size compared to my one. 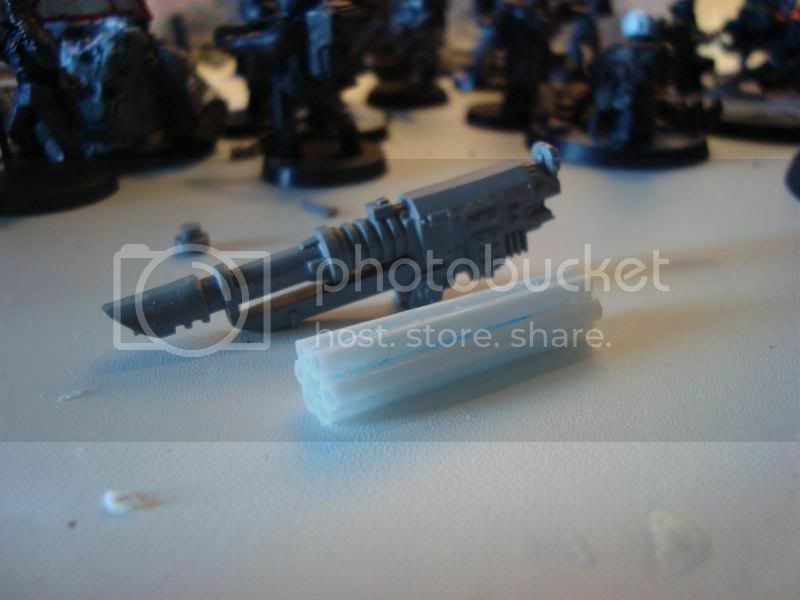 Size compared to a lascannon. It's also worth noting that you can't file these pipes without butchering them, and the whole thing is quite weak anyway. That looks manageable, I think a bit of trim work would make that look great as a cannon. Not to say the other did not look good. I don't know the intended caliber, but the q-tips look a lot more realistic. A Gatling gun firing grapefruit sized bullets sounds a bit too odd to me. Well, Heavy Bolters are supposed to fire fist sized mini rockets. For something the same strength, this would have the same size caliber. And warhammer isn't supposed to look super-realistic. 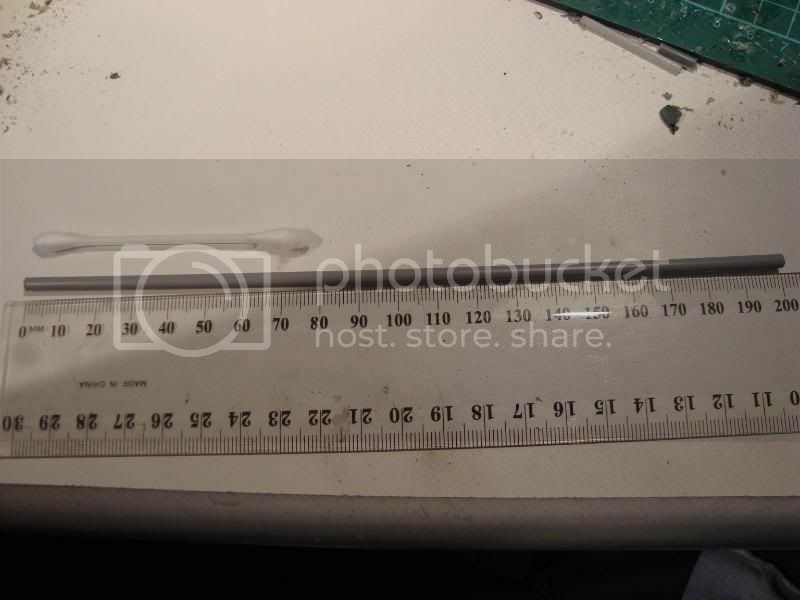 Can we see the q-tip version actually mounted on something so we can see the size in relation to the chassis? That would be awesome. I dunno, the q-tip version might just be big enough for a punisher or hydra variant, I'd have to throw it around some to see what looks good. Very nice tutorials, my hat's off to you sir! agreed with above, the qtip version looks more "realistic", compared to the overall size of the turret. 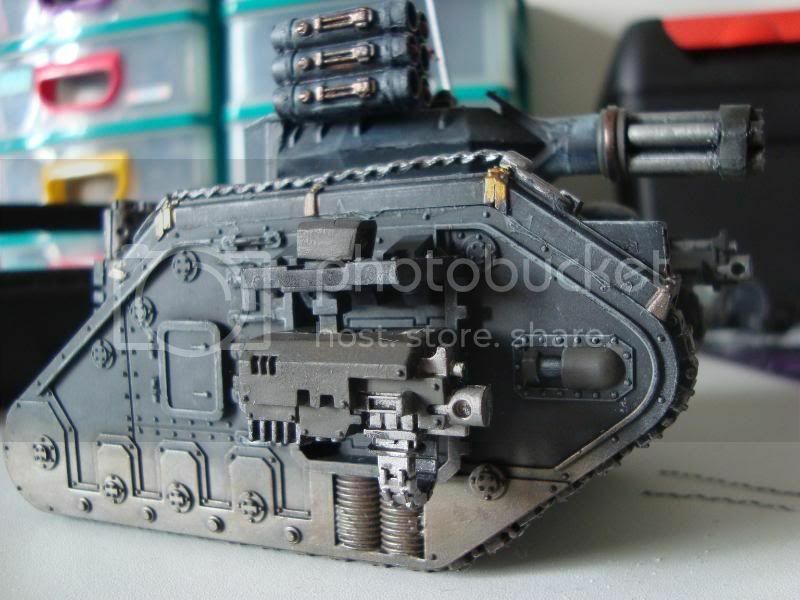 I think if you added platicard and GS to increase the overall size of the turret then the 3mm tubing cannon would look good. .. Black Forest .. Red Sea ..